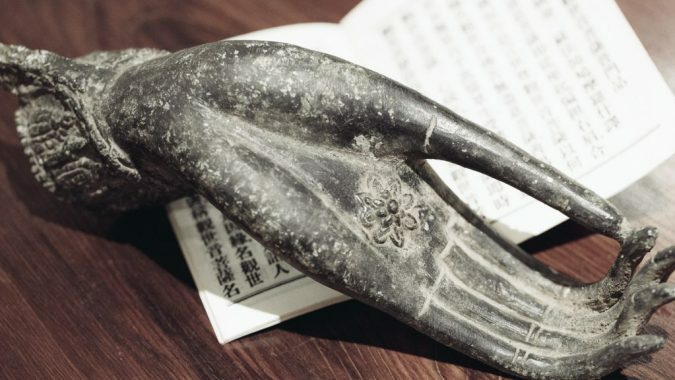 The solid beats of two large drums reverberated through the hall, sounding the beginning of the Medicine Buddha Sutra. 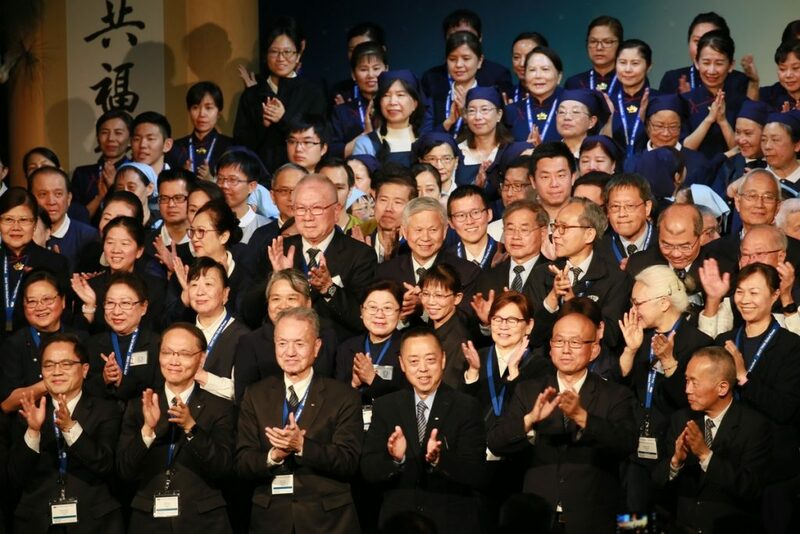 More Tzu Chi volunteers filed onto the stage in unison and falling into choreographed motions along with the music. 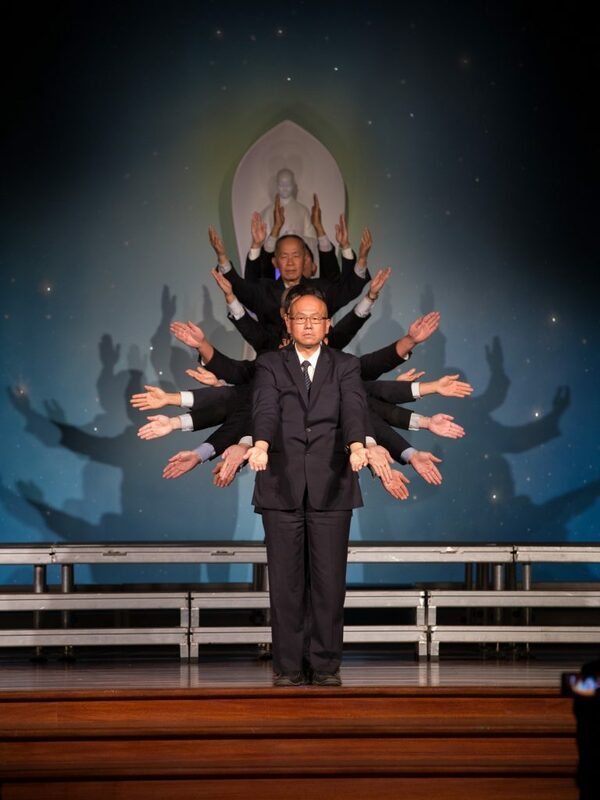 It was another inspiring performance from Tzu Chi and TIMA volunteers. 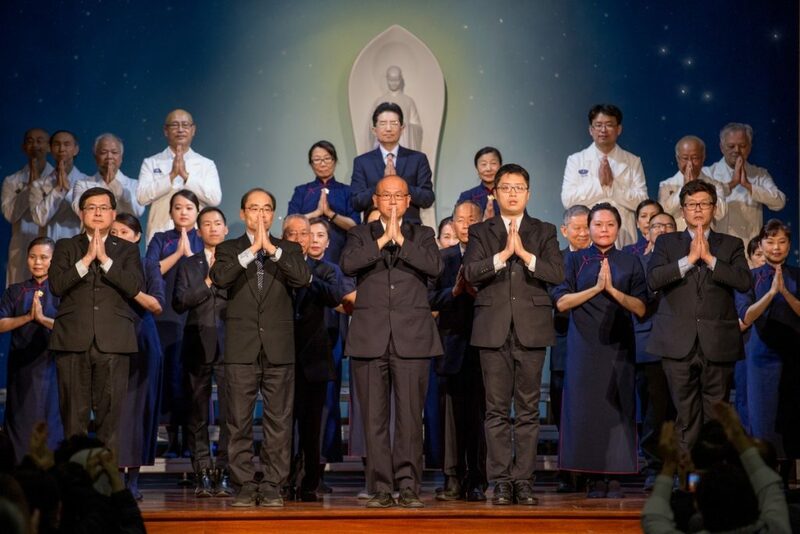 Dharma Master Cheng Yen’s video highlighted several volunteers who dedicated their lives to carrying out Tzu Chi’s missions until their dying breath. Master recalls how a TIMA doctor from the Philippines would always call and give a full account of the medical services that were provided at the end of the mission. 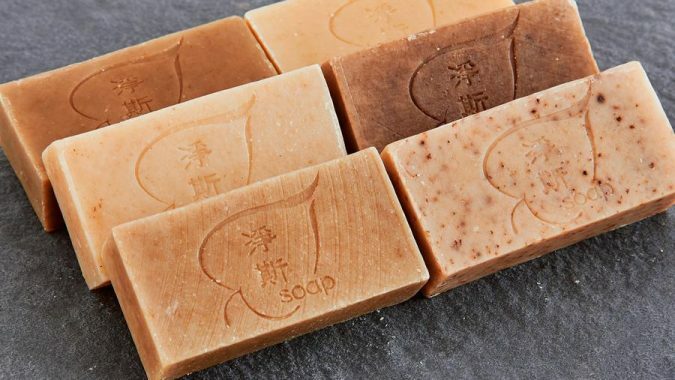 Another volunteer who dedicated her time to recycling work and helping at the Tzu Chi hospital, did a final honorable deed upon her passing, to donate her body to Tzu Chi’s silent mentor program. 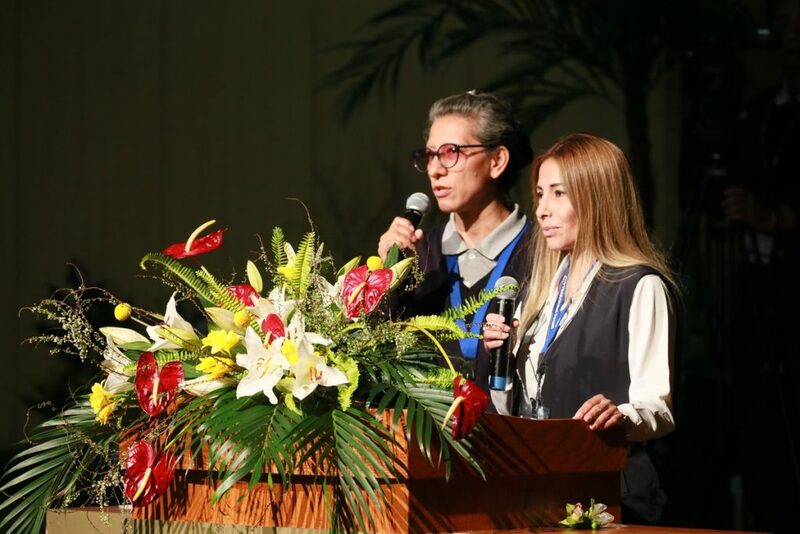 Several attendees from Central and South America, speaking through a translator, expressed their gratitude in having learned so much at this forum, and seeing the work that TIMA has done to help so many people, not just with money but with love and hope. They are inspired to become a part of this group of volunteers and will encourage more doctors and nurses to join this mission. 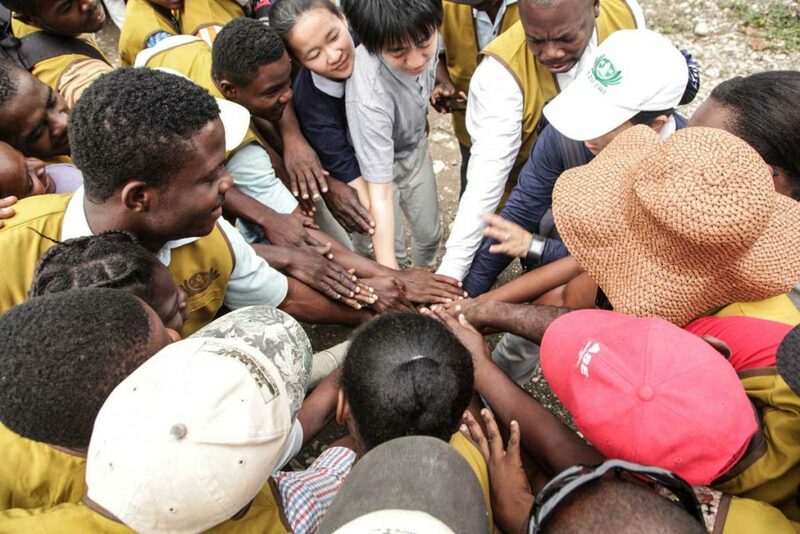 Still others shared that they were most impressed with the mobile clinic, that Tzu Chi is a stress free zone for her, and that they have influenced their family members to become doctors and join in TIMA‘s work. 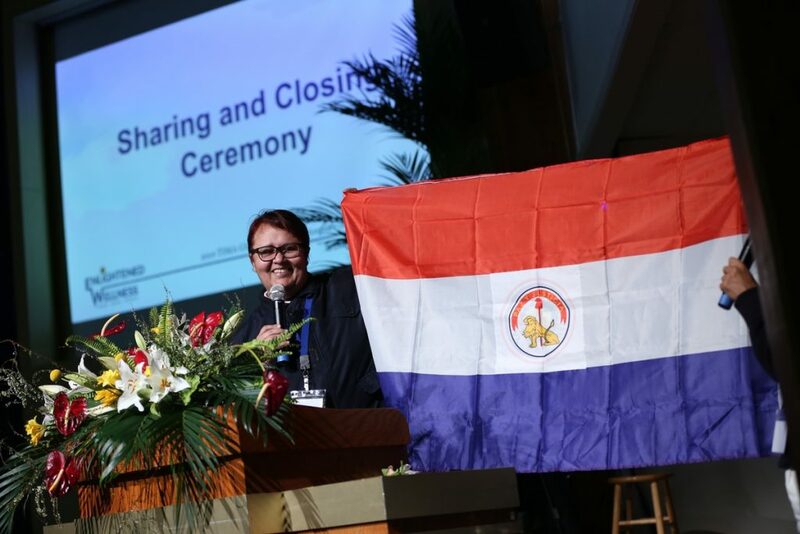 Lastly, an attendee from here in the US was so inspired by Stephen Huang, Executive Director of Global Volunteers, who said, “Make a wish and give great love,” that she made a wish to be the first seed to bring medical aid to Nicaragua. 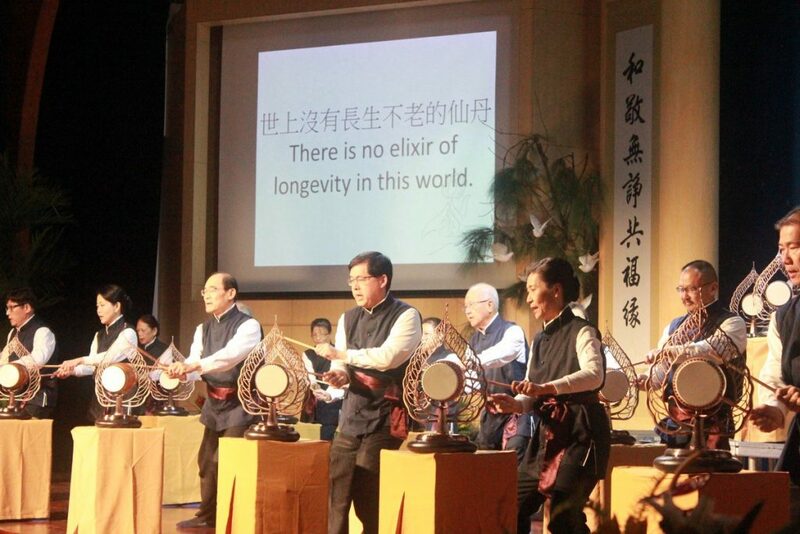 She has also vowed to go through volunteer training to become a Tzu Chi commissioner. 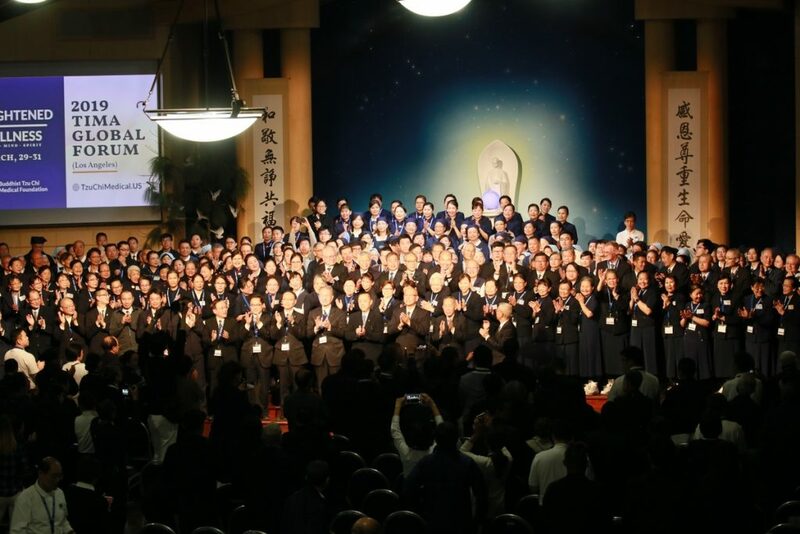 To end the ceremony, the audience was treated to another awe-inspiring performance, Sutra of Immeasurable Meanings, consisting of 53 volunteers from southern California, displaying complex choreography and sign language. In the final moments of the closing ceremony, a video of all the support staff behind the scenes was shown. 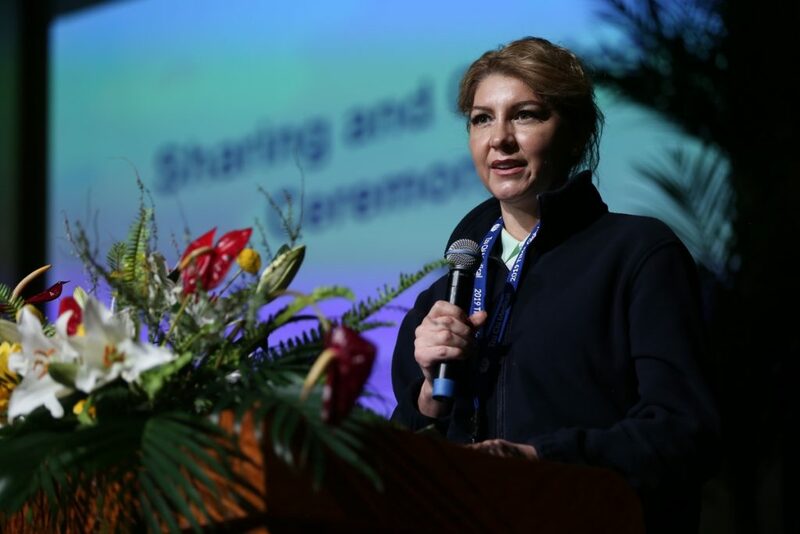 2019 TIMA Global Forum was a great undertaking for Tzu Chi USA and took 12 months of planning to bring everything together. At the end of the video, all the staff were invited up to the stage to receive their well-deserved applause. Dr. Keh’s closing remarks expressed gratitude for all attendees and support staff, and most of all to Master Cheng Yen for her inspirations and teaching. He urged everyone to take what they’ve learned and felt at the forum back to their country and to join them when TIMA calls for volunteers for the next mission. A traditional gesture, the TIMA flag was passed onto the next host country – Indonesia, with over 700 TIMA members and 2,000 volunteers. Everyone looked forward to reuniting in Jakarta, Indonesia for the 2020 TIMA Global Forum!